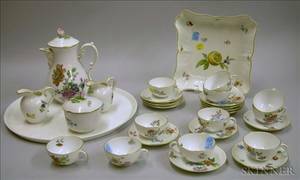 Three-Piece Meissen Floral Decorated Porcelain Demitasse Set and Three Pieces of English Ceramic Tableware. 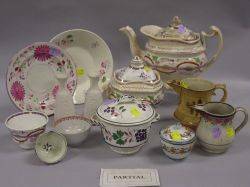 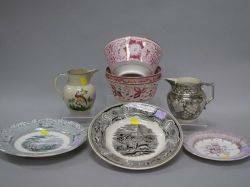 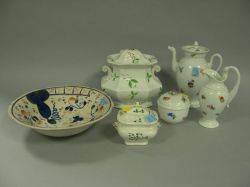 Archived auctions similar to Three-Piece Meissen Floral Decorated Porcelain Demitasse Set and Three Pieces of English Ceramic Tableware. 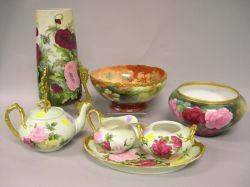 Fifteen-Piece Meissen Gilt Cobalt and Floral Decorated Porcelain Demitasse Set. 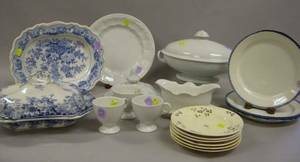 Set of Twelve Limoges Gilt Decorated Porcelain Dinner Plates and Eighteen Pieces of Gilt Decorated Porcelain Tableware.